Canadian developer Washbear Studio launched a reveal trailer for their upcoming simulation game Parkasaurus. 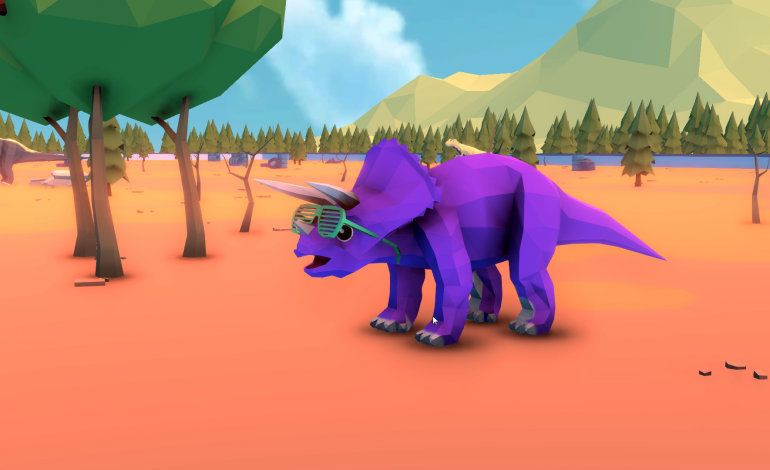 The fun title full of wacky colored dinosaurs with “modernized 3D flat design graphics” focuses on building the best dinosaur park and taking care of various dinosaur species. Each dinosaur “requires a unique biosphere, which means the shape of exhibit, materials used, ecology, plants, elevation and humidity all play a key role in whether the Dinos, and the park, thrive…or become extinct.” In the trailer, some of the habitats shown are forests, grasslands and small ponds all containing unique vegetation and layouts to suit each dinosaur’s needs. The dinosaurs must be fed and contained properly or they may escape by busting through the park’s fences and rampaging through crowds. Players must use tranquilizer darts to put rampaging dinosaurs asleep and bring them back to their enclosures before they cause more trouble on park property. Even weather changes will affect how players care for their dinosaurs; as seasons change the park may become covered in snow, rain showers and more which all species will not be accustomed to. The park will be nice to look at, but it will also be a business that needs to make a profit so players will have to decide how to utilize their resources so they don’t go into debt. As the park boss, players can hire employees of varying skill levels to help run the park’s facilities such as serving food and keeping the park clean. Guests will leave reviews about their overall experience which will help determine changes to be made or help determine if the park is running smoothly. Once players get the hang of managing employees and caring for a few dinosaurs , they can obtain more species by travelling back in time to find new dinosaur eggs to hatch in the present. Parkasaurus will be released on Steam in an early access stage for an estimated 6-8 months in Spring 2018.